The Southern Highlanders Pipes & Drums are an International Pipe Band available to perform in any part of the world, epitomising in almost every way the Scottish Military Pipe Bands, by wearing full ceremonial uniforms with feather bonnets and playing traditional tunes that are familiar the World over. 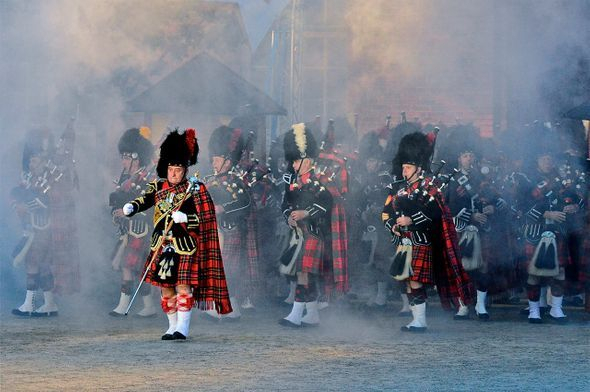 With nearly one hundred band members to call upon at any one time, the Southern Highlanders are almost always able to parade a Band of any size to perform at national and international events. Our Band has gone from strength to strength and since we have introduced Highland Dancers as part of our organisation, who perform traditional Highland Dances and Scottish Folk Dances whilst accompanied by our Pipers, our ranks have swelled and demand has increased. We seek to proactively recruit younger Pipers and Drummers and to involve them in all of our engagements and commitments wherever possible in order to perpetuate the Cultural Tradition of Pipe Bands. So, who are the Southern Highlanders Pipes and Drums? Band members are individuals drawn from across most of the South of England, (many are already members of other Pipe Bands) with the specific intention to form a unique Band of Pipes and Drums of an International Standard, competent to perform at international events such as Military Tattoos, Cultural Festivals, Commemorative Events and Historic Ceremonies. All Band members have experience in performing nationally & internationally. 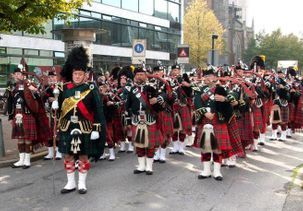 In the last 3 years alone, members of the Southern Highlanders have played in Germany, Switzerland, Spain, Italy, Holland and the Channel Island of Jersey. Band members come from every and any walk of life, from School teacher to Blacksmith, Police, Fire or Ambulance Officers, Bank Clerks to Businessmen and women, Student to Post Graduate, their musical ability, personal high standards, flexibility, reliability and commitment to the Band make each and every one a worthy member.